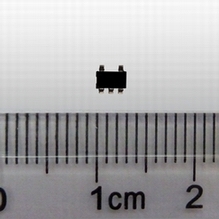 The ATI2301 is a step-down current-mode, DC-DC converter. At heavy load, it works at the constant frequency PWM mode which has good stability and transient response. To ensure the longest battery life under light load in portable applications, the ATI2301 features a power-saving pulse-skipping modulation (PSM)mode, which reduces quiesent current to save power.